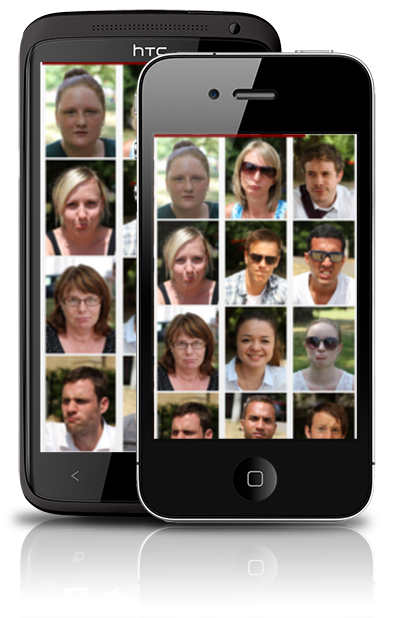 SmileTapper presents a grid of faces from which you simply have to tap the one that's smiling. Research shows that performing this type of activity for 5 minutes everyday reduces stress and in turn, makes you happier. 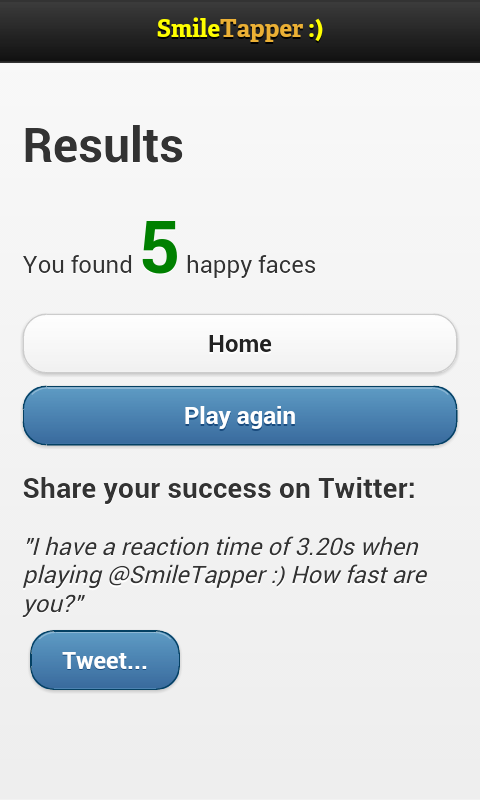 SmileTapper - The game that makes you happier. Research shows that performing this type of activity for 5 minutes everyday reduces stress and in turn, makes you happier. 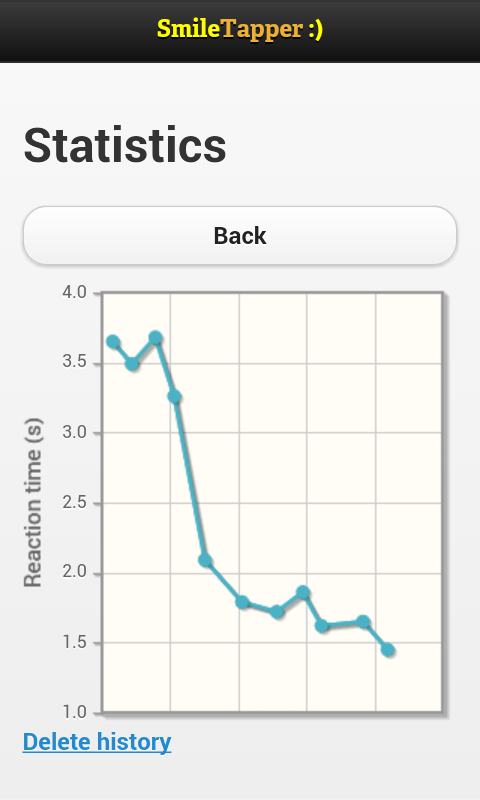 This app is inspired by research mentioned in an episode of BBC's Horizon. Don't believe it works? - Then this app is for you, pessimist! Copyright © 2013 Matt Burns Ltd.